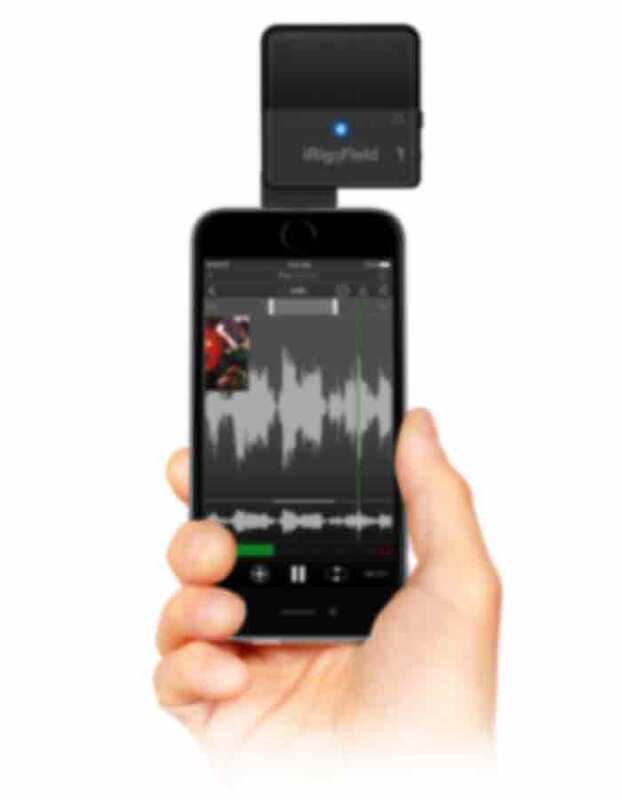 Now anyone can make high-quality stereo recordings while on the move: Introducing iRig Mic Field, the pocket-sized digital stereo microphone for Apple’s range of Lightning-compatible iPhone, iPad and iPod touch devices. Designed to be used for both video and audio recordings, it features a patent-pending rotatable enclosure that you can easily position for the best stereo image in both landscape and portrait orientations. Now you can capture pristine sound no matter whether you’re recording a rehearsal or a concert, capturing audio for videography, acquiring audio for a music project, recording instruments while on the move, saving a lecture or speech or creating your next viral video hit. iRig Mic Field lets you create accurate and faithful field recordings in any imaginable context. iRig Mic Field combines high-quality components and unparalleled portability with a unique form factor. iRig Mic Field packs a 24-bit audiophile-grade A/D converter, a 44.1/48 kHz sampling rate, a 115 dB maximum SPL rating and a low-noise/high-definition pre-amp into an enclosure that’s small enough to slip easily into your pocket. Now you can get that high-quality stereo sound anytime and anywhere. With iRig Mic Field, you can get a mic that’s half the price of comparable microphones that cost and weigh twice as much and lack the flexibility of audio and video support. You can think of these digital Leslie models as providing actual audio recordings of the real cabinets, they are much more than an emulation algorithm! Record right out of the box with iRig Mic Field and it's companion app, iRig Recorder Free app. It’s the easy way to record, edit and process stereo audio while in the field. And as if that wasn’t enough, iRig Mic Field is compatible with all Core iOS Audio and Video apps including Voice Memo and Camera, and Apple's GarageBand and iMovie as well as all your favorite social media video apps and services. Capturing good sound requires more than just high-quality components; it also requires comprehensive and easy to use controls. iRig Mic Field has everything you need to ensure your sound is recorded at the perfect setting. It features a thumbwheel gain control, an audio-out jack for quality real-time headphone monitoring (usable with app support) and a multicolor audio input level indicator for quick visual monitoring. 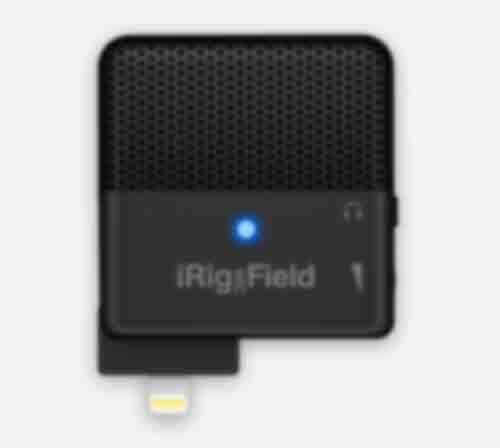 For immediate recording, iRig Mic Field comes with IK’s powerful iRig Recorder Free app for iPhone, iPad and iPod touch. The latest version of IK’s popular field recording app, iRig Recorder, lets you effortlessly record, annotate, edit and process stereo audio with a revamped GUI, 8 new effects and a full suite of newly enhanced social sharing capabilities. 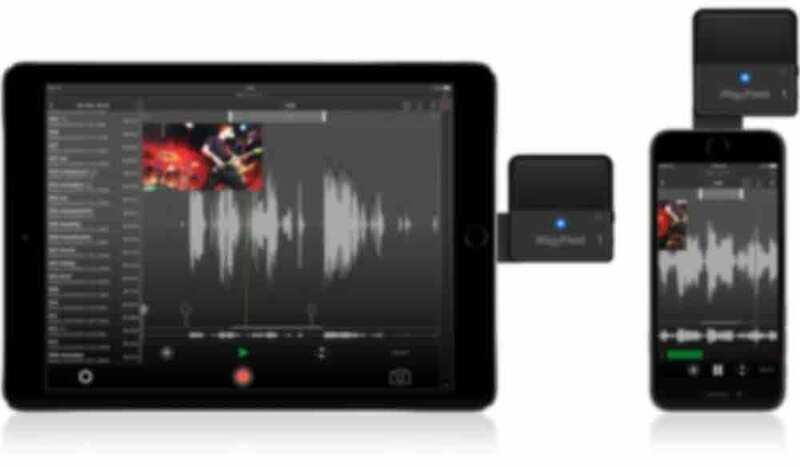 iRig Mic Field also works seamlessly with iOS’ Core Audio and Core Video apps like Voice Memo and Camera, and Apple's GarageBand and iMovie. All you have to do is plug in your iRig Mic Field, open your favorite app and hit record: You’ll have a high-quality recording in no time. 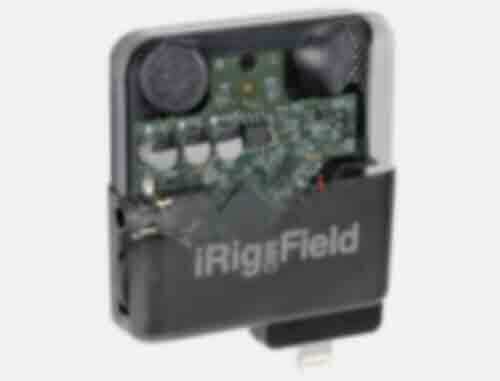 iRig™ Mic Field is a trademark property of IK Multimedia Production Srl. All other product names and images, trademarks and artists names are the property of their respective owners, which are in no way associated or affiliated with IK Multimedia. iPhone®, iPod touch®, iPad®, Mac and the Mac logo are trademarks of Apple Computer, Inc., registered in the U.S. and other countries. App Store is a service mark of Apple Inc.